You’ve worked hard to make your business a success, and you know you could achieve even more if you had easier access to capital. Whether it’s money for expansion, new equipment, increased inventory, more staff or extra marketing, nearly every small business can benefit from additional financing. 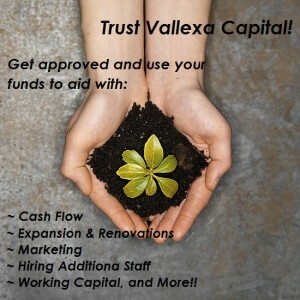 That’s why Vallexa Capital was created: We help good businesses become great by making it easier to access working capital through financial products such as small business loans and business advances. We’ve simplified application processes, streamlined qualification requirements, and knocked down unnecessary barriers. Plus, we’ve created an exclusive network of funding partners that specialize in helping small businesses take advantage of opportunities quickly. The result? 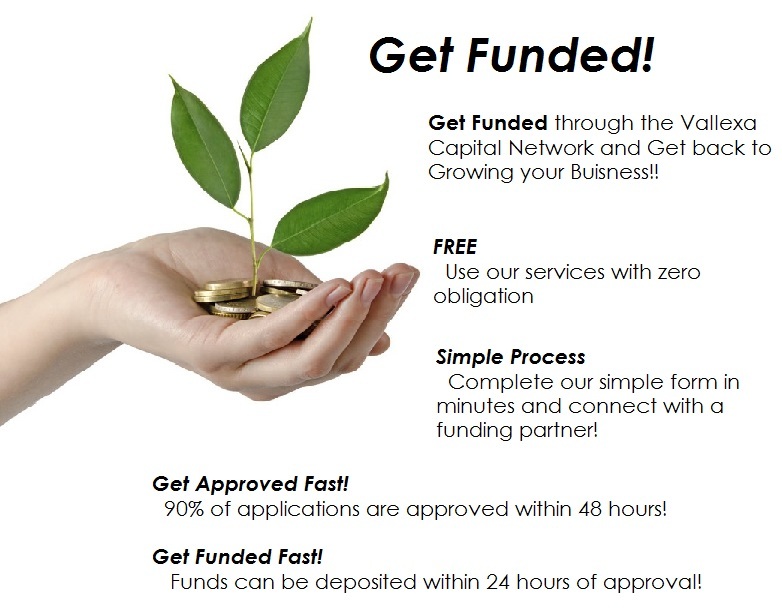 It’s easier than ever to get the funding you need to make your business great.